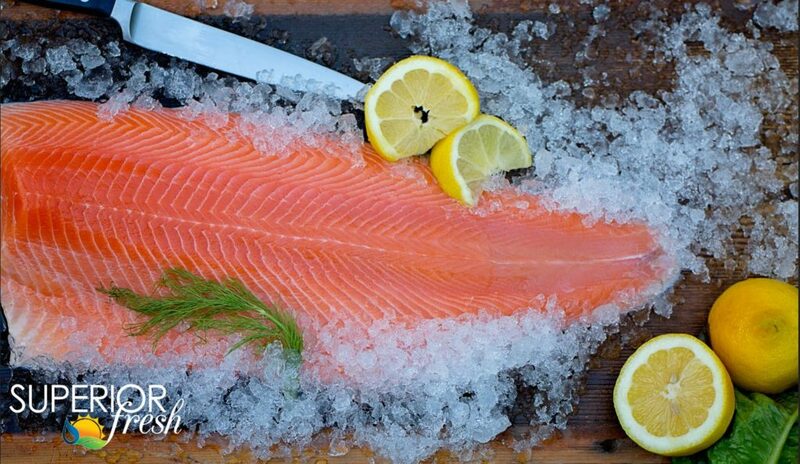 Now here’s something extraordinary: Delicious, Atlantic salmon raised right here in the Midwest. Seem impossible? 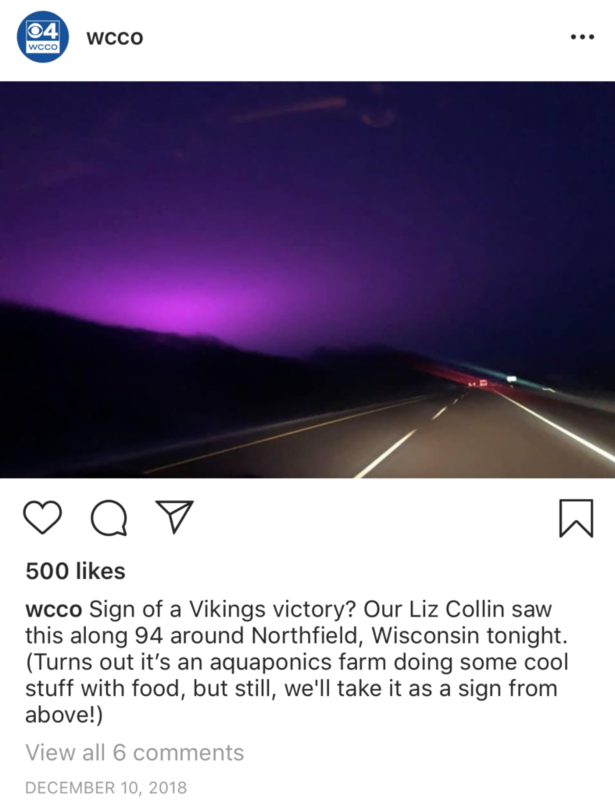 That’s the magic of Superior Fresh. Now you might be wondering, what is an aquaponic growing system? 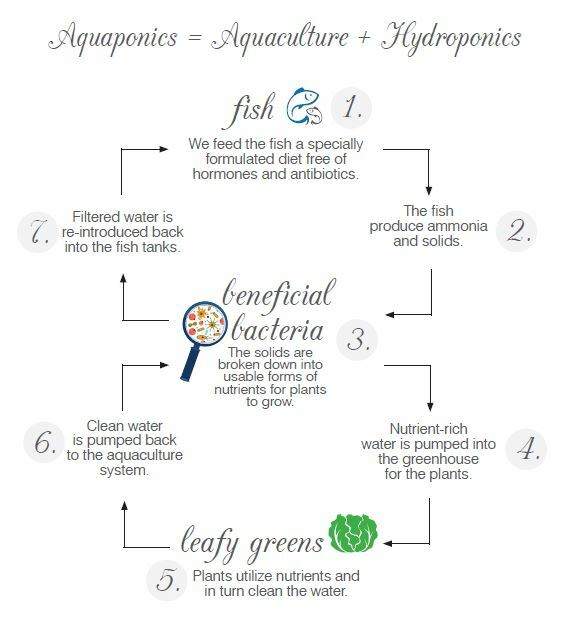 Aquaponic farming is a symbiotic system between fish, beneficial bacteria, and plants. Water from an aquaculture fish-raising system is fed to a hydroponic growing system for plants. The by-products from the live fish are broken down by bacteria into nitrates. In turn, the nitrates are used to fertilize plants and clean water is recirculated back to the aquaculture system to raise more fish. The result? Healthy food and virtually zero waste. Superior Fresh is on a mission to make healthy, sustainable food accessible to everyone- and to do it responsibly. 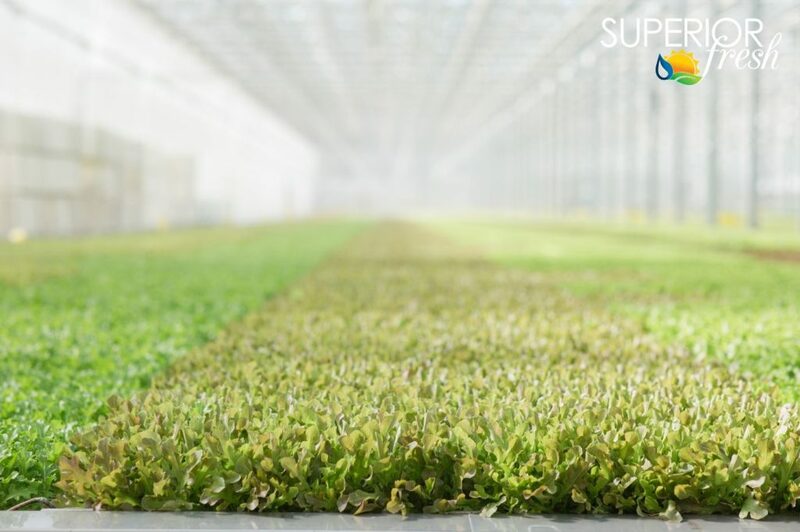 Their state-of-the-art facility achieves 99.95% water recirculation and uses only a tiny fraction of water needed for conventional farming. Instead of discharging production water into lake and streams, it’s used to irrigate their organic alfalfa and hay fields. 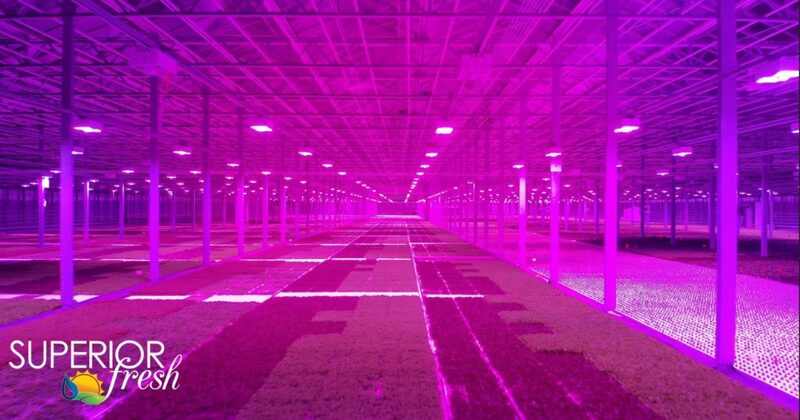 When the sun isn’t shining, their greenhouses use energy-efficient LED lights (pictured below). Their goal is to duplicate this facility across the US over the next 10 years to supply more regions with sustainable Atlantic salmon and leafy greens year-round. Now, Superior Fresh isn’t just striving for an efficient ecosystem inside their facility, but outside as well. 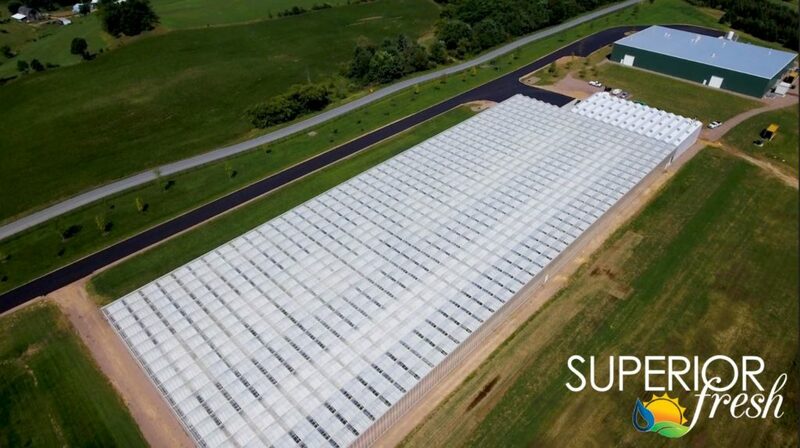 Superior Fresh sits on 720 acres of conventional farmland that is now in the process of restoration, growing native wildflowers and distributing the seeds for free while restoring soil health. That’s what you call a symbiotic relationship, inside and out. To learn more about Superior Fresh, click here. And that is why I shop at Lakewinds! And have been for over 25 years! The greens are awesome! Fantastic to have your continued support!